The Cyberoam CR100iNG can offer unmatched throughput speeds, compared to any other UTM appliance in this market segment. 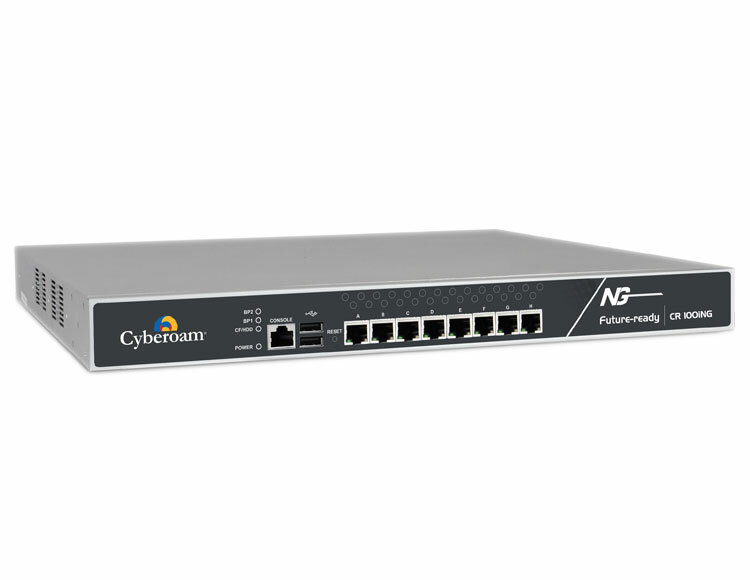 The CR100iNG is a Next-Generation network security appliance that includes UTM security. The Cyberoam CR100iNG for SMEs is the “fastest UTM” made for this segment. VoIPon - your Cyberoam CR100iNG UTM Firewall[CR100iNG] distributor, supplier, reseller! Get all your wifi at VoIPon! If you would like to be notified when the"Cyberoam CR100iNG UTM Firewall" is re-stocked, please enter your contact details and we will notify you instantly.